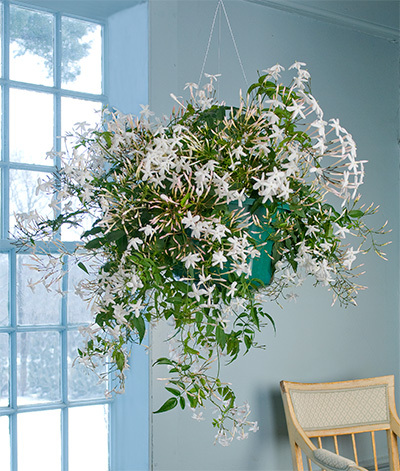 In the depths of winter, when the air is cold and dry outside and hot and dry indoors, there is no indoor plant we cherish more than Jasmine polyanthum. 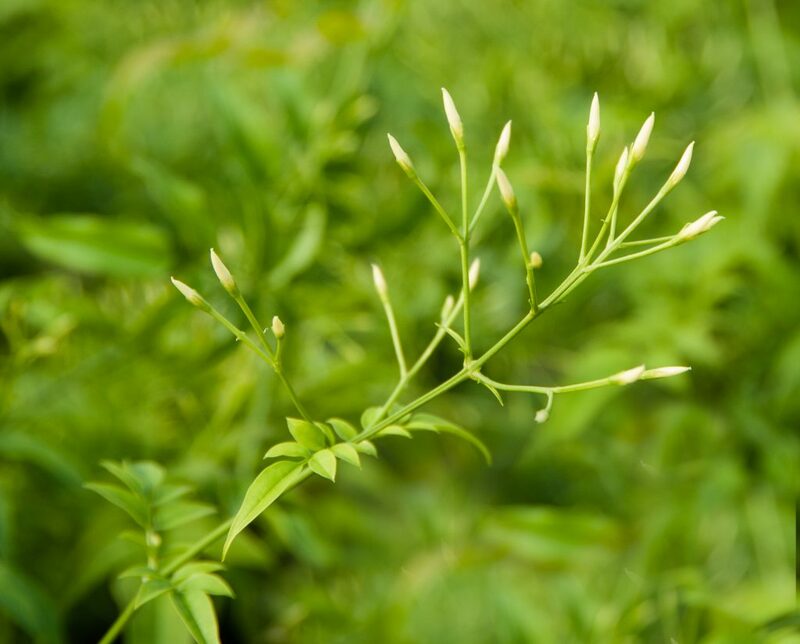 This beloved subtropical vine forms a trailing mound of small leaves and curling tendrils. The dark green glossy foliage is beautiful to look at, but it’s the small white flowers and the heavenly fragrance they release that makes this plant such a treasure. 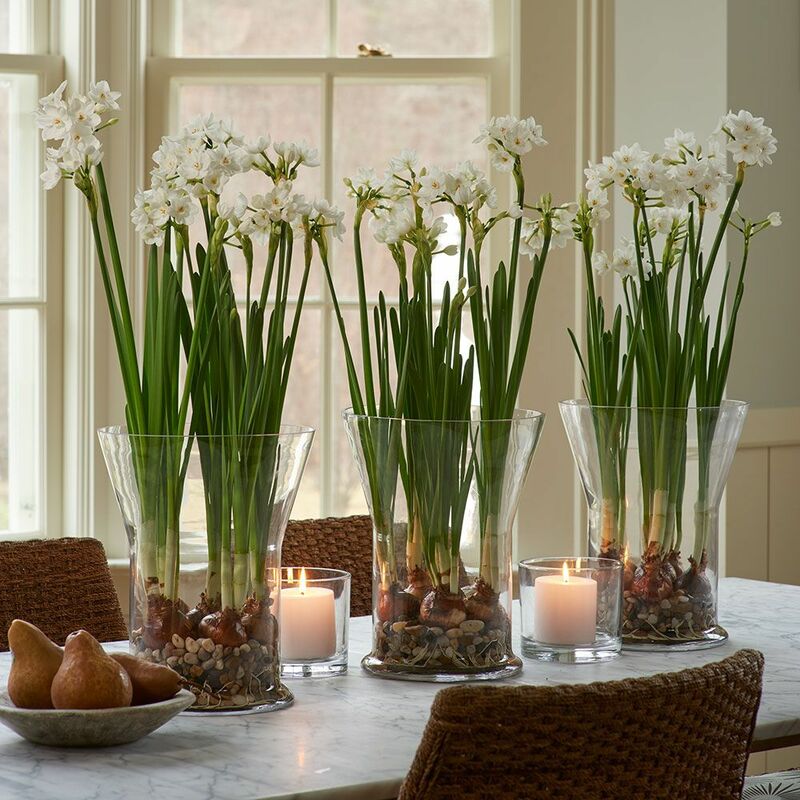 The perfume can fill a room, and no matter what the weather outside, it lifts our spirits by conjuring warmer, balmier places. 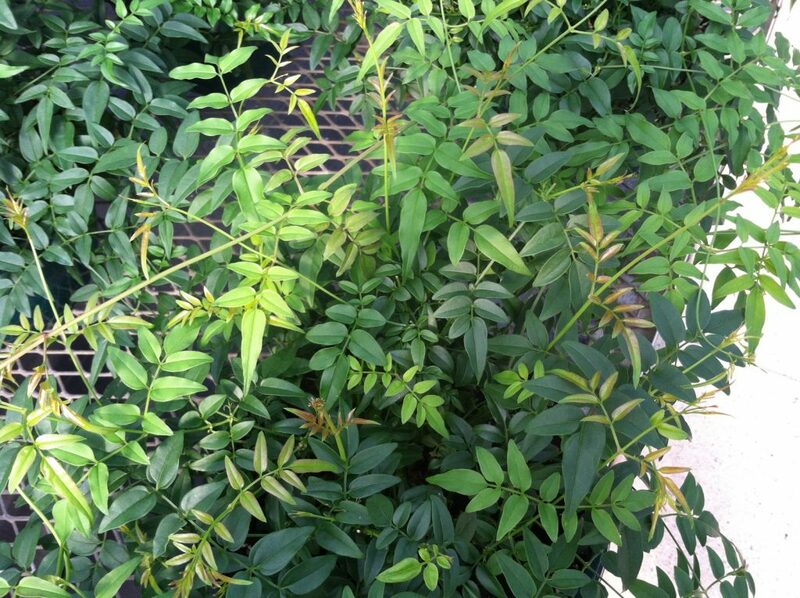 Keeping jasmine moist but not soggy is the key to maintaining healthy plants. 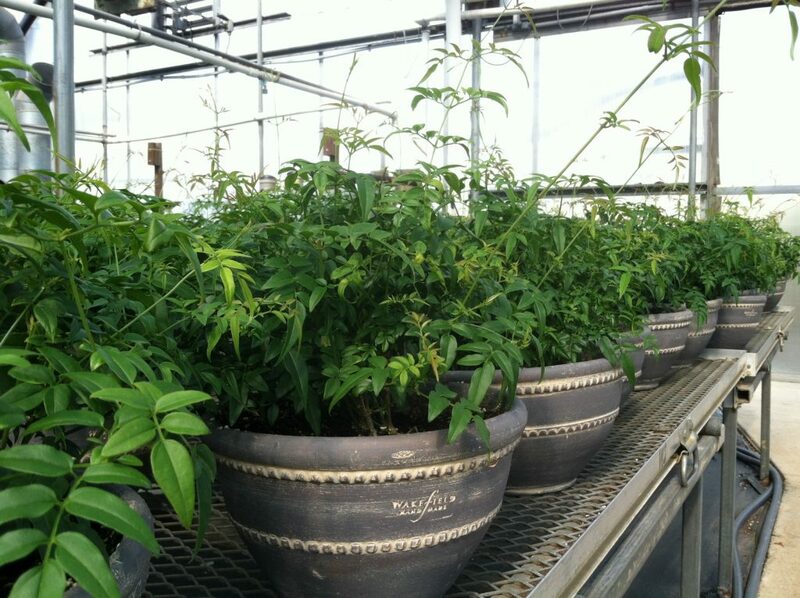 Our Jasmine plants are grown here in our greenhouses, which are overseen by Nursery Manager Barb Pierson and her staff. They’re shipped to customers starting around mid November and can be shipped through late March, depending on the weather. 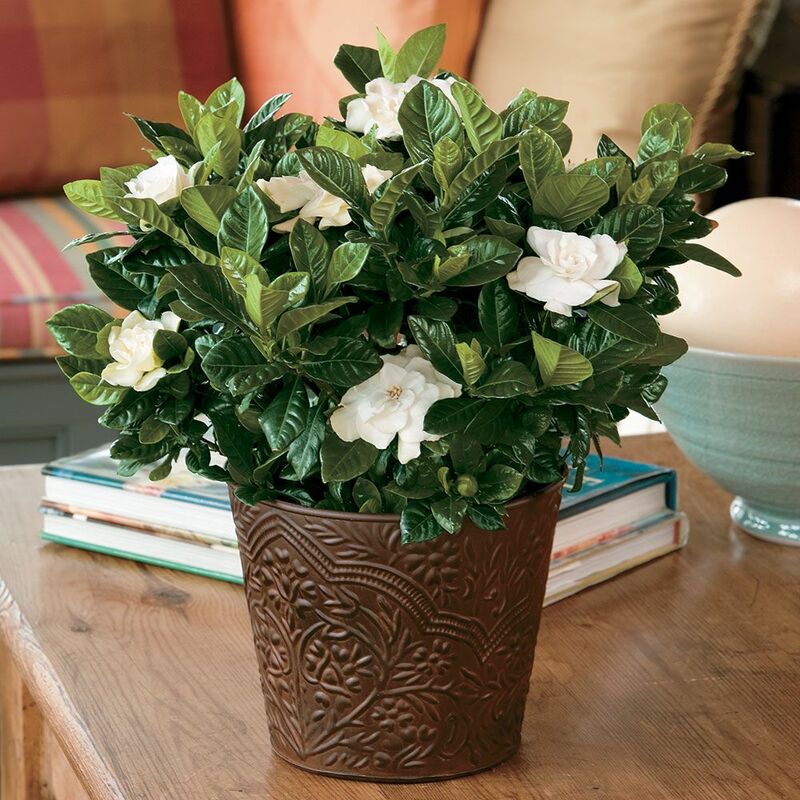 We asked Barb to talk about Jasmine and to offer a few tips on how to keep these plants thriving through their season of bloom or beyond. 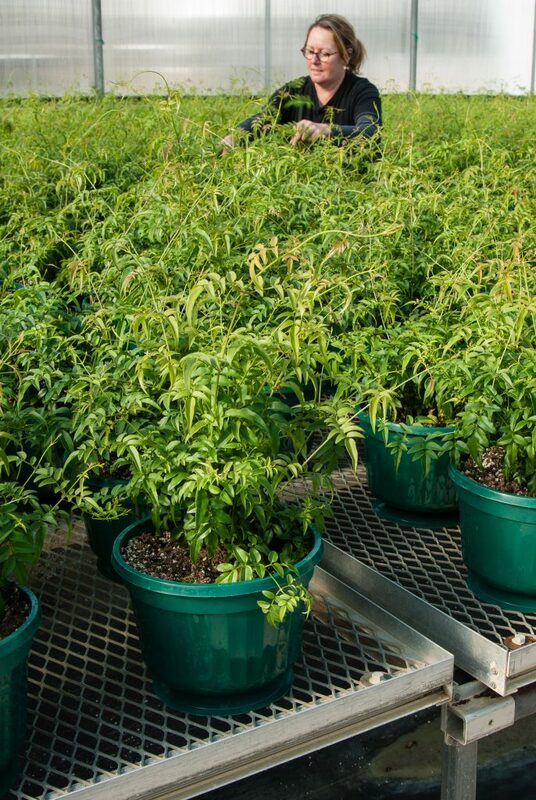 Nursery staffer Sam is an experienced jasmine grower, and she takes superb care of our plants. In autumn, the plants are cooled naturally. In mid-September, “we begin cooling them to 42 degrees F at night,” Barb says. “This is part of what initiates flower formation. Starting in mid-September, we hope for cool nights, not below 40 degrees F, until mid-October. Then we turn up the heat gradually to 65 degrees F.” The days begin to shorten at that time of year. “That’s probably a trigger, too,” Barb says, “but we have no scientific material to back that up. 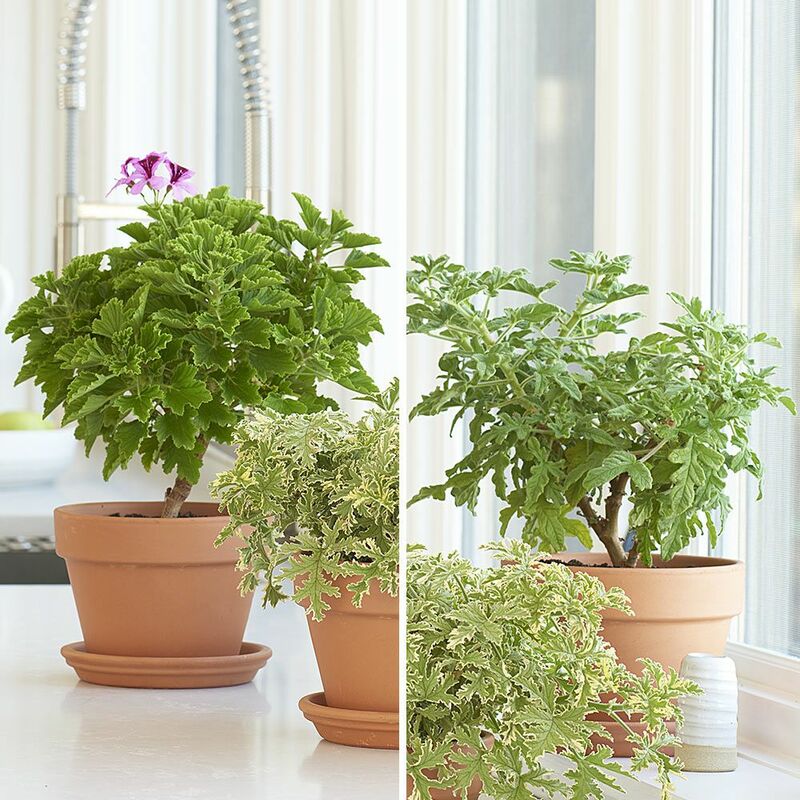 Indoors, the plants don’t like hot air from radiators or fans blown on them. They prefer shade to bright, indirect sun. They do not like direct sun. 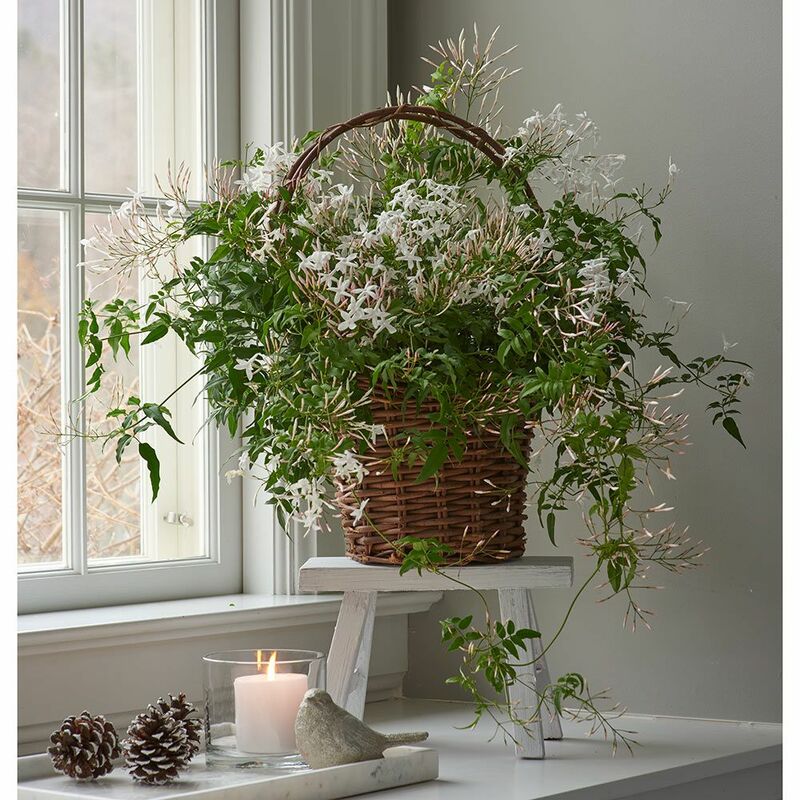 While the fragrant white blossoms of jasmine tend to get all the attention, we also love the delicate vines, which send tendrils up and out in a cascade of lush green. If you summer over your plant, “Stop pruning by August 1 or you will lose blooms,” Barb says. 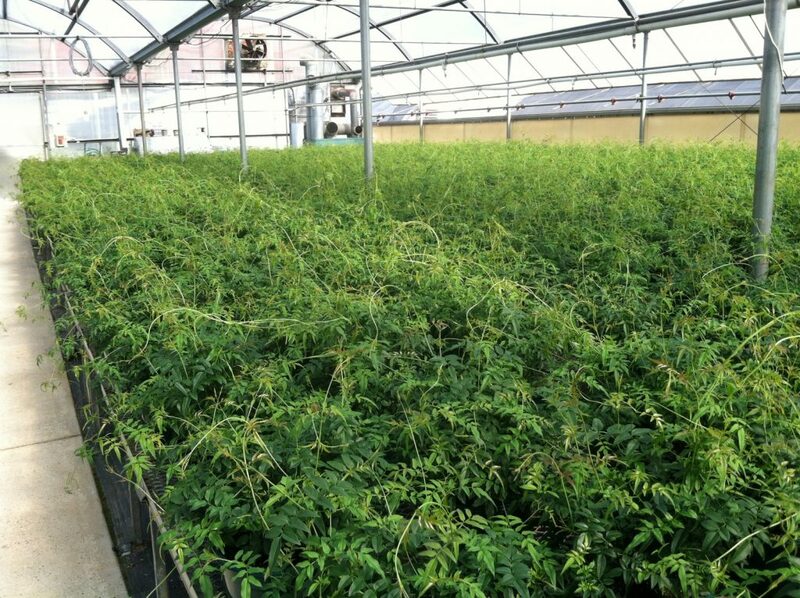 “We start shipping jasmine around Thanksgiving when they’re fully budded and ready to begin flowering. We’re sometimes delayed if the fall is warmer than usual,” Barb says. “They can take the upper 20s in temperature so shipping continues, but we try not to ship after it’s below freezing.” If the box is left on someone’s front stoop for hours, the buds will fall off.